Community radio stations broadcast to a small area, normally within a 3 mile (5 km) radius, and are mostly not-for-profit organisations, owned by local people, on which the broadcasters are volunteers. They are recognized under the Communications Act 2003 as a distinct third tier of radio in the UK. The community radio movement in the UK was founded in the mid-1970s, broadcasting through Restricted Service Licences, the internet and on cable. In order to obtain a community radio license, applicants must demonstrate that the proposed station will meet the needs of a specified target community, together with required “social gain” objectives set out in the application. These usually take the form of a commitment to train local people in broadcasting skills or provide a certain amount of programming aimed at an undeserved section of the population. A target community can be defined either by geography or by reference to a particular sub-community in an area, otherwise known as a community of interest. A geographic community can be any defined local area, particularly those which would not sustain a fully commercial broadcaster. A community of interest can be any identifiable local community; existing community stations are aimed at groups as diverse as the elderly or youth, religious groups, speakers of languages other than English, lifestyle groups such as gay and transgender and cultural/recreational groups such as artists. While there are exceptions in certain rural areas, community radio stations are usually limited to broadcast areas smaller than commercial or BBC local stations, nominally a 5 kilometre radius of their transmitter. The normal allocated power for a new community station in an urban area is 25 watts vertically polarised, although most allocations permit the addition of a further 25 watts horizontally polarised. For some rural stations these limits are increased to 50 watts vertical plus 50 watts horizontal. 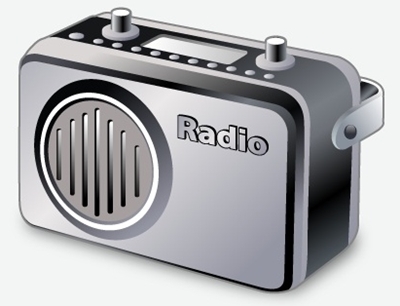 Following pressure from the UK’s Commercial Radio Companies Association, the Community Radio Order 2003 includes varying funding stipulations based on a community station’s proximity to a commercial radio broadcaster. No community radio station is permitted to raise more than 50% of its operating costs from a single source, including on-air sponsorship and advertising. The remainder of operating costs must be met through other sources. These can include public funding via grants, donor income, National Lottery funding or charities. Regulator Ofcom also makes available an amount of funding annually through its Community Radio Fund. Stations may apply for this money in the same way as other grant funding. However, where a community radio station lies totally within the transmission area of a commercial station with a population coverage of under 150,000, no sponsorship or advertising may be sought and all funding must come from alternative sources. In a small number of areas where a commercial station covers a population of under 150,000, a community station may not be licensed at all. This is in order to protect the financial interests of smaller commercial stations. Online streaming has to a large degree solved the restrictions of limited coverage and allowed community stations to broadcast far outside the range of their terrestrial transmitters, giving them a much wider appeal. Almost all of the community stations listed below offer online streams, most in good quality, unlike many commercial broadcasters, there are no UK only IP restrictions imposed on listeners, giving these community stations a potential worldwide audience. Do you know of any community stations not listed? Please email details to have them included.